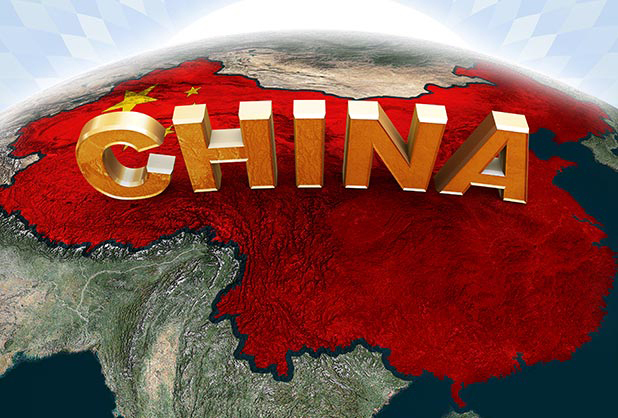 The People’s Bank of China (PBOC) has received approval from the World Bank allowing its’ issuance of bonds which are denominated in Special Drawing Rights (SDRs). The World Bank is the first entity to approve of it and consequently marks the launch of the SDR bond market of the worlds’ second-largest economy. This new bond issuance is 2 billion SDRs which is equivalent to $2.8 billion. The bonds will be denominated in SDRs and payable in Chinese renminbi (RMB). The precise timing of issue and individual bond terms will be based on favorable market conditions, at the time of issuance. The World Bank approval of China, as being the first issuer of SDR-denominated bonds, is a further step in the “internationalization” of the Chinese capital markets. It shows the vital role of the World Bank and how it assists in opening new markets as well as developing local capital markets. The World Bank SDR-denominated bonds in the Chinese market are a fantastic opportunity for Chinese investors to support the World Bank's sustainable development activities via a new product. These bonds will also be attractive to international investors who are seeking SDR products to hedge SDR liabilities. The World Bank raises $50-$60 billion, in the international capital markets, each year. The new SDR program in China is part of the World Banks’ strategy to open and support the development of new markets and will therefore expand World Banks’ product offerings which attract new domestic and international investors to World Bank bonds. Officially, as of October 1st, 2016, the new mix of the SDR will include the Yuan. It now joins the dollar, euro, pound and yen in an exclusive club of currencies that have special drawing rights. The yuan will be weighted at 10.92%. This is the first change in the SDR basket since 1999. In the past, the IMF rejected the yuan in 2010. For many in the markets, this has been the year of the yuan. When China suddenly devalued its’ currency, earlier this year, it sent the global markets into a tailspin. Currently, the yuan is depreciating even further since traders believe that the Chinese government will step down from its’ intervention in the currency. Being included in the exclusive club is a sign that the currency has ‘grown up’, in a manner of speaking. This story began in 2009 with the global financial crisis. The People’s Bank of China said that the economic shocks were due to the financial system being overly reliant on a single currency – the US dollar. It has been pushing for inclusion, ever since. But what effect will this have on both the Chinese economy and other currencies in the basket? The Euro, for example, will surely be affected by this decision. The currency shared by 19 nations within the Eurozone has had a terrible decade and now it appears that things could get worse. When it comes to this special basket, the weighting of the currency is the most important aspect. If a new currency is introduced, then all of the others have to give up their share. Therefore, the yuan will be weighted at 10.97%, which means that the share of the euro will drop from 37.4% to 30.93%. As for China, this announcement is nothing but good news. This move by the IMF is more than just ‘symbolic’. Being counted as a reserve currency mainly means that the government has taken the right steps to free up its’ economy. It has reined in intervention and has allowed the currency to be more ‘free’ within the international markets. Central Banks, around the world, which hold SDRs in reserve, have this new currency as an option to convert into. This means that a lot more Chinese bonds (maybe a trillion dollars’ worth) will now be able to find their way into the market. Additionally, there is no indication that Central Banks have a lot of demand for the Yuan. This decision gives them the option to convert into the currency, but whether or not they will is a question yet to be answered. The US dollar is still the worlds’ reserve currency. I question how the SDR will maintain any value if all of its’ underlying currencies, that it has been composed of, have become worthless. If this is what does occur, then they will be forced to back these fiat currencies with a tangible asset in order to accept this standard. The only money that has lasted for over 5,000 years is gold. I would not be surprised to see a new gold standard set in some way, but that is still a long way away and some serious catastrophes have to happen first. With that said, the markets tend to move before major events happen, so as things worsen globally, it only makes sense for precious metals (physical currency) to strengthen over time.